Pastor Krenz grew up on a farm in north central North Dakota. He attended Concordia College, St. Paul, Minnesota where he graduated in 1990 with a Liberal Arts major and minor in Biblical Languages and History. He then attended Concordia Seminary, St. Louis, MO, receiving his Masters of Divinity degree in 1994. In the following year he spent a year in chaplaincy training in the St. Louis area at what was the Deaconness Hospital and Laclede Groves retirement community. He married Lisa McClaughlin on July 1, 1995. In August of 1995 he began his ministry as the first full time pastor at Grace Lutheran Church in Holts Summit, MO. He served the saints at Grace from 1995-2002. He then was called to serve at Trinity Lutheran Church & School in Hoffman, IL in April of 2002. While at Trinity he served as a board member at Christ Our Rock Lutheran High School, Christ the Vine Lutheran Mission, and twice served as a circuit counselor (now called circuit visitor). In 2013 he received his Dr. of Ministry degree from Concordia Seminary in St. Louis with his final project addressing inactive ministry and the role worship participation plays in understanding several key teachings of the church. 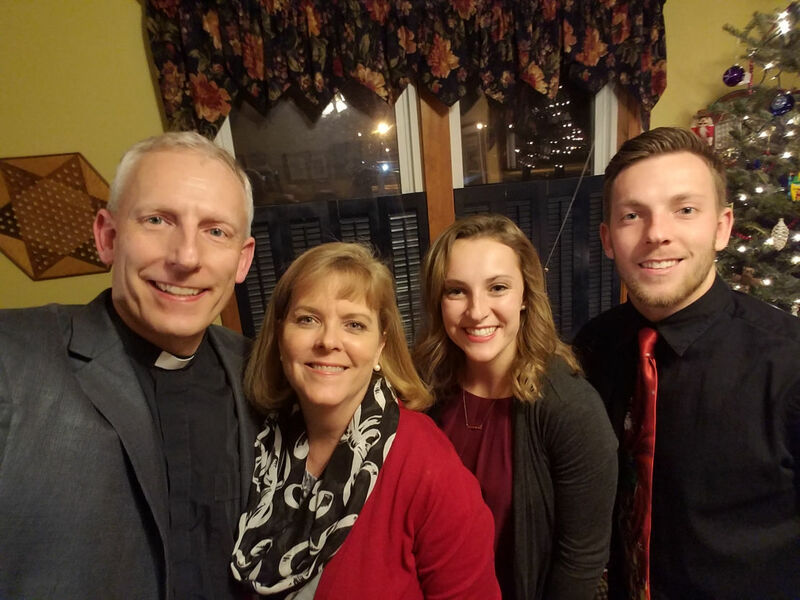 Pastor and Lisa have two children, Joel, who is a senior at Concordia University in Chicago, and Anna, who is a sophomore at that same school. His wife, Lisa, works as a curriculum editor at Concordia Publishing House in St. Louis. His hobbies include running, reading, and keeping up with the professional Minnesota athletic teams.